In this blog series of Enterprise Data Protection (EDP) I will provide you some more insights what EDP is, how it works and how to create & deploy EDP policies by Configuration Manager and Microsoft Intune. In this 3rd blog post I’ll outline how to create & deploy Enterprise Data Protection policies by Configuration Manager Current Branch (1511) to Windows 10 devices. Last week I faced a challenge publishing non-claims-aware application (SharePoint 2013) using Kerberos Constrained Delegation (KCD) by Web Application Proxy (WAP). The customer environment consists of a multi-forest active directory where user accounts and server objects each stored in a separate forest. Due to the introduction of Microsoft Enterprise Mobility Suite (EMS) we added a public User Principal Name (UPN) which was required to log on using a public domain namespace. 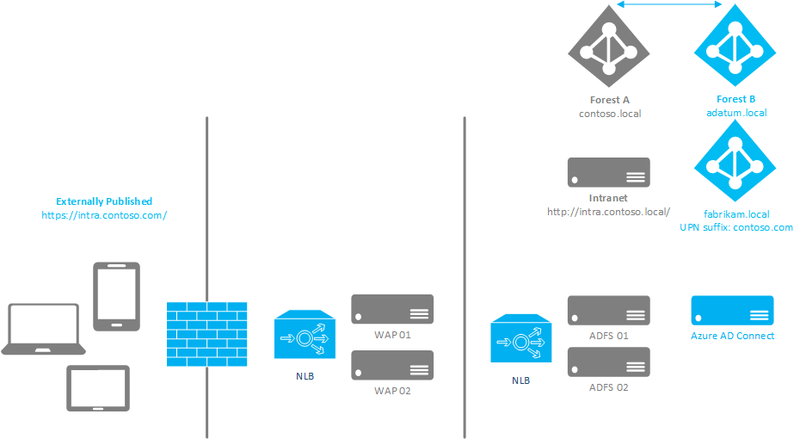 In part 1 of this blog series I provided some background and highlevel overview how the proces of deploying certificate profiles to devices works with Microsoft Intune. 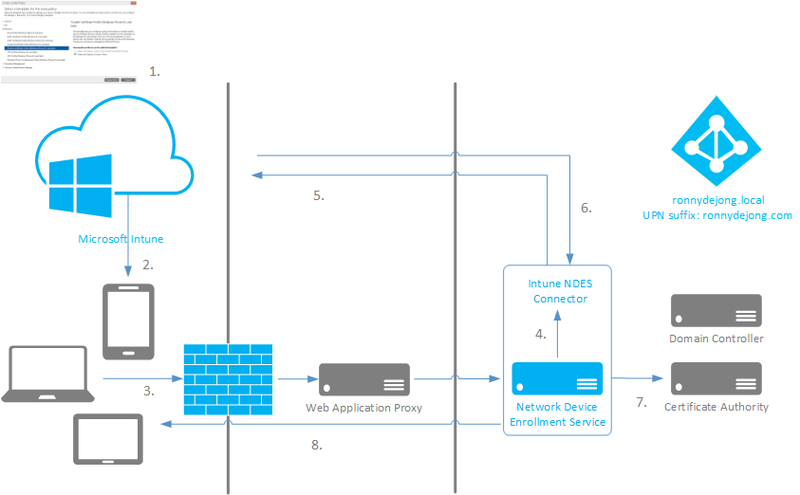 In this second blog – part 2 – I’ll outline the setup and configuration of the Microsoft Intune NDES connector. As starting point, we assume that you have already installed a Certificate Authorithy (CA), NDES server and an active Microsoft Intune subscription. With the recent updates of Microsoft Intune it is possible now deploying certificate profiles using Network Device Enrollment Service (NDES) to mobile devices. In this blog series I’ll cover the different aspects of certificate enrollment proces by using Microsoft Intune (standalone). Before going in details about NDES and hereby an brief overview of how NDES process works in relation to Microsoft Intune. During a Windows Intune proof of concept (PoC) I was facing some issues configuring federation in order to enable Signle Sign On (SSO). When configuring federation we couldn’t convert the the default domain to a federated domain type. By using the –Verbose –Debug parameters of convert –MsolDomainToFederated cmdlet the root cause became clear. Proxy Authentication was required and therefore we couldn’t convert the domain. One down two to go!